Friends, spirits, costume gods...we are gathered here to mourn the end of Halloween and to celebrate Dia de los Muertos with this phantasmagorical Day of the Dead Catrina Mask! It’s perfect way to honor the dearly departed or arrive in style at a themed party. A white mask may seem boring, but this one is an offering of simplicity and alluring design. 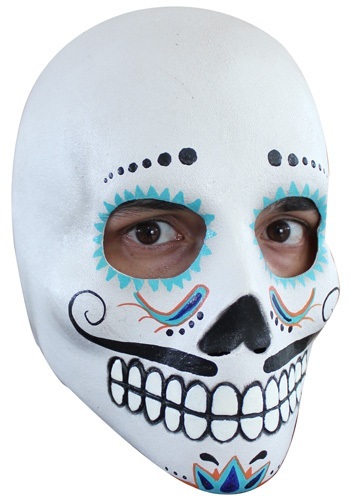 Painted to look like the traditional Dia de los Muertos sugar skulls, this accessory takes the guesswork out of party prep (this look is not easy to achieve with makeup--we’ve tried!) and ensures an eerie and ethereal paint job that won’t wear off as the night wears on. Grab one for your festivities, or a bunch for pals and create a group look that welcomes the spirits in style.